When you arrive, if you haven’t printed and filled out your first visit forms, our front office staff will ask you to complete them here. The forms will assist your physical therapist with your initial evaluation and the designing of your treatment plan as well as initiate payment for your care. We are credentialed with most major insurance carriers, including Medicare and we will contact your insurance company to verify your physical therapy benefits. We advise you to contact your insurance company as well to verify benefits. We do offer cash pay for physical therapy. Please be sure to bring your insurance cards, claim number (for labor and industries claims), case number (for motor vehicle accidents) doctors referral/prescription for therapy as well as a complete list of ALL prescription medications, over the counters, herbals, and vitamins/minerals/dietary (nutritional) supplements including name, dosage, frequency and route of administration. Depending on the body region to be treated, the clothing you should wear needs to be comfortable to move around in. If you are being seen for a lower body injury, please bring shorts. If you are a female being seen for an upper body injury, please wear a tank-top. If you forget, we will gladly loan you shorts and upper body gowns for you to use while in the clinic. When you first contact our office, we will need certain information from you to help process insurance claims. Our front desk staff will gather the appropriate information from you such as insurance company, subscriber name, ID#, etc so please have your insurance card ready. If you are being seen for a work injury or a motor vehicle injury, we will need your claim number. Once we have all of this information, we will find out what your insurance benefits are for physical therapy and if you have a co-pay. If you have a co-pay, payment is required at the time of service. On your first visit, you will meet with one of our physical therapists. 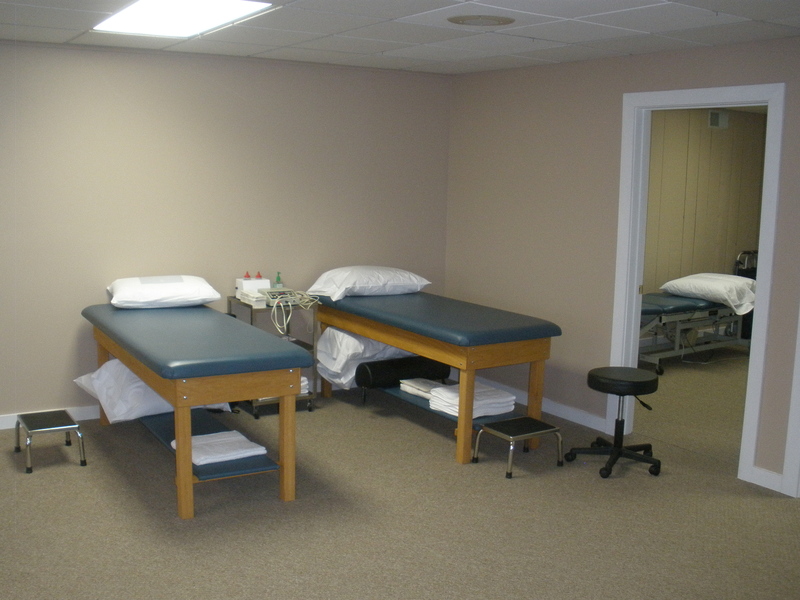 They will review your medical history as well as what you are seeking physical therapy for. The evaluation will include an interview process of questions which will help clarify your condition and symptoms. Next, the therapist will take specific measurements and tests to assess what your problem is and then a treatment plan will be determined. We value your insight into this process and your goals will be our primary focus. Physical therapy treatments can include modalities (such as ultrasound, electrical stimulation, heat, cold, etc), manual therapy techniques (stretching, massage, mobilizations, traction, etc), exercises and stretches. These interventions will facilitate the healing process. Feel free to ask your therapist any questions about your treatment. Each physical therapy session lasts about 45 to 60 minutes. We will make every attempt to work within your specific schedule and find appointment times which work best for you.